Date of Birth: 6 June 1902. 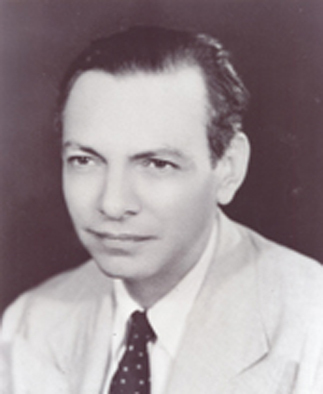 Served as Dean of the College from 9/1/1950 to1/7/1952. -Received a Bachelor degree in Medicine and Surgery from Cairo University in 1925, obtained a doctor, surgery and obstetrician diploma from Cairo in 1927. -Diploma in Tropical Medicine from England in 1929, then Diploma in Public Health from Liverpool, England in 1931. -Received membership from the medical royal colleges in 1935. -Then he got a partnership from medical Royal Colleges in London in 1936. -Served as clinical assistant and as privilege doctor in Cairo from 25 January to October 1926. -He was an “Anklstomo’ doctor in Ministry of Health from 1/10/1926 to 12/7/1927. -Doctor in the Research centre of the Ministry of Health 13/7/1927 to 1930. – Assistant professor in Faculty of Medicine, Cairo University 7/4/1940. – Professor in Internal Medicine department in Alexandria 16/12/1943. – Dean of Alexandria Faculty of Medicine from 9/1/1950 to 1 /7 /1952. – Appointed as Minister of Health in 1952, In the Ministry of Naguib Helali. – Passed away in 1978. In his life, he won the State Appreciation Award in science in 1967 and was awarded the first class medal of the Republic in 1970. – Has divided the internal medicine and surgery to units.